WHAT'S YOUR PROBLEM? Is it the tedious record-keeping and the arduous figure-work of commerce and industry? Or is it the intricate mathematics of science? Perhaps your problem is now considered impossible because of prohibitive costs associated with conventional methods of solution. The UNIVAC SYSTEM has been developed by the Eckert-Mauchly Computer Corporation to solve such problems. Within its scope come applications as diverse as air: traffic control, census tabulations, market research studies, insurance records, aerodynamic design, oil prospecting, searching chemical literature and economic planning. The UNIVAC COMPUTER and its auxiliary equipment are pictured on the cover and schematically presented on the opposite page. ELECTRONS WORK FASTER.---- thousands of times faster ---- than relays and mechanical parts. The UNIVAC COMPUTER uses the inherently high speed of the electron tube to obtain maximum productivity with minimum equipment. Electrons work faster than ever before in the newly designed UNIVAC COMPUTER, in which little more than one-millionth of a second is needed to deal with a decimal digit. Coupled with this computer are magnetic tape records which can be read and classified while new records are generated at a rate of ten thousand decimal-digits per second. AUTOMATIC OPERATION is the key to greater economies in the handling of all sorts of information, both numerical and alphabetic. For routine tasks only a small operating staff is required. Changing from one job to another is only a matter of a few minutes. Flexibility and versatility are inherent in the UNIVAC method of electronic control making use of an extremely large storage facility for "memorizing instructions". LOW MAINTENANCE AND HIGH RELIABILITY are assured by a design which draws on the technical skill of a group of engineers who have specialized in electronic computing techniques. The Army Ordnance Computer, ENIAC, was designed and built at the University of Pennsylvania by Eckert and Mauchly during World War II. In the EDVAC report (September, 1945) these two men outlined a basically new computing system. In 1946, the Electronic Control Company, a partnership made by Eckert and Mauchly, undertook the design of an improved computer suitable for both commercial and scientific use. This work was supported in part by funds from the Bureau of Census through a contract with the Bureau of Standards. Many of the engineers who had participated in the work on the ENIAC and EDVAC joined the staff of this new company. Starting with such a group, having unique and unequalled experience, the Company has continued to augment its staff. The Eckert-Mauchly Computer Corporation, specializing in the design and production of electronic computing equipment, is in a preeminent position to furnish reliable equipment at lowest cost. The Univac (UNIVERSAL AUTOMATIC COMPUTER) is the central component of an electronic system by which many types of information can be processed with speed and economy. The versatility of this system is such that it may be applied both to problems in advanced mathematics and to the routine work of the business office. It handles large quantities of numerical and alphabetic information. It can perform any specified set of operations on this data, even though the processes may be extremely complicated. The results are recorded automatically. All this is done with a minimum of human attention. 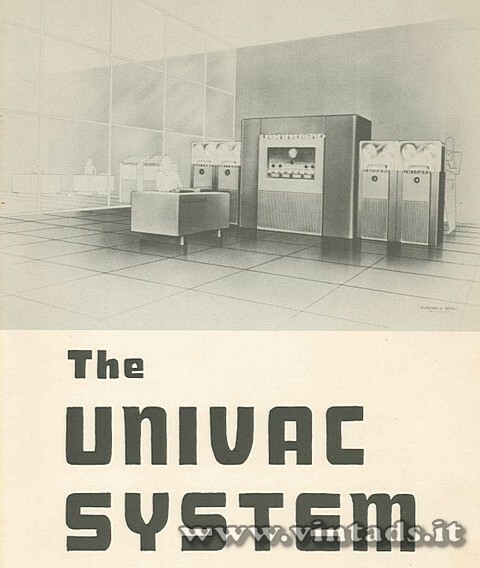 The UNIVAC SYSTEM is, in fact, the first comprehensive system to which the word "automatic" truly applies. The UNIVAC makes use of a newly developed magnetic tape recording system. All types of data, both numeric and alphabetic, including instructions for the operations to be carried out, are recorded compactly on magnetic tape. The recording device is called a UNITYPER. It is operated in the same way as a typewriter. (The entire UNIVAC SYSTEM operates on the decimal system). It is possible to record more than 1,000,000 decimal digits on one reel of tape. The reels are 7" in diameter and hold 1000 feet of tape which is $ millimeters wide. The speed of the UNITYPER operation depends on the typist. The UNIVAC reads from such tape at the rate of 10,000 decimal digits per second. One UNIVAC can be provided with as many as twelve tape units. This places twelve million decimal digits at the disposal of the UNIVAC at one time. The tape units, called UNITAPES, are controlled by the UNIVAC. The UNITAPES can pass the tape in either direction: the UNIVAC will interpret it correctly. Any UNITAPE can serve as a recorder or a reader. In fact, it is possible to read data from a tape, and, after reading it, record intermediate results on the same tape. The previous data will be automatically erased. Moreover, it is possible to read from one tape while simultaneously recording on another tape. Interlocks are arranged so that maximum advantage may be taken of such overlapping operations while preventing conflicting operations. Any data which have been recorded on magnetic tape may be printed on paper by the UNIPRINTER. This is a typewriter which is automatically controlled by magnetic tape. Tables of numerical results, alphabetic lists, customers' bills, and so forth, can be prepared in any desired format at a rate of ten characters per second. Extensive files and voluminous records take up little storage space and can be kept indefinitely on reels of magnetic tape, yet can be erased when no longer needed. There is no chance of accidentally interchanging or mixing up the information on a tape, but alterations and emendations can be made whenever desired. The UNIVAC COMPUTER has an extremely large and rapid electronic memory. One thousand 12-digit storage positions are available to hold the numbers, alphabetic information, and the coded instructions which control all operations. Accurately timed pulses, only one-quarter of one millionth of a second apart, enable the computer to be synchronized so the decimal digits can be introduced into and withdrawn from the memory at a rate of nearly one million per second. The design of this memory, using the pulse envelope system, has been thoroughly tested and proven by a laboratory model operating at pulse rates even higher than those to be used in standard equipment. Circuits which add and subtract at a rate of almost 1,000,000 decimal digits per second set a new record for computing speed. Tests at even higher rates have been used to assure reliable performance in standard equipment. Multiplication is performed by repeated addition. Other functions, such as comparing two alphabetic groups to determine which comes first in alphabetic sequence, are also carried out by use of the same computing circuits. Although the UNIVAC COMPUTER may be controlled through the SUPERVISORY CONTROL keyboard, complete instructions are normally recorded beforehand on magnetic tape. At the start of a problem, the appropriate instruction tape is mounted on a UNITAPE unit and all pertinent data are similarly mounted on other UNITAPE units. The operator merely pushes a button and instructions are transferred to the electronic memory and all further operations are automatic. No switch - setting or cable - plugging is necessary. Results are recorded on magnetic tape. Instruction tapes need be prepared only once for any given type of work and can be used again and again whenever a similar problem is encountered. The code in which computer instructions are written is simple and natural. For instance, the arithmetic operations of addition, subtraction, and multiplication are called for by letters A, S, and M. Associated with such letters are decimal digits which specify the memory location of the subject of the operation. All sorts of intricate selections of alternate operating instructions are possible. Subsequences which frequently recur need be stored only once and may be used repeatedly in various parts of an entire problem. The following specifications are minimum; actual performance will exceed the values given below. a. UNIVAC (exclusive of UNITAPE input-output devices). Input-output rate...10,000 decimal digits per second. Number of tape units under control of UNIVAC… up to twelve UNITAPE units, each capable of functioning as input or output at any time. Paralleling of input and output… two UNITAPES may operate simultaneously, provided one is input and other is output. Internal memory capacity...12,000 decimal digits. Nature of data handled… "words" consisting of 12 decimal digits each; alphabetic or special signs (punctuation, plus sign, etc.) can also be used. 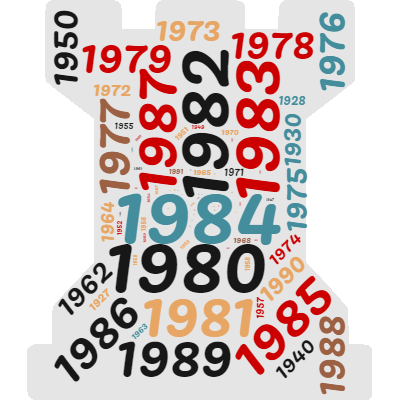 Basic Operations… addition, subtraction, multiplication, extraction (logical multiplication); transfer of data in groups of more than one word each, as well as one word transfers; transfers to and from tapes; transfer of control from one routine to another, conditionally or unconditionally, determined by any chosen inequality test. Means of Control…coded instructions, two to a word. Introduced to UNIVAC through UNITAPES, which can fill internal memory in 1.2 seconds. Instructions followed in sequence. Transfer of Control… conditional or unconditional transfer to a different sequence of operating instructions may be used as often as desired. Selection based on logical tests. Error Indication... automatic stopping of computer and visible and/or audible indication when error is detected. Function	each unit controls one reel of tape, reading tape to UNIVAC or recording on tape from UNIVAC. Speed of Operation... 10,000 decimal digits per second. Control... automatically by UNIVAC. Tapes can be read from or recorded on while running in either direction. Recording automatically erases previous data. Motors for driving tapes are in UNITAPE but controlled by UNIVAC. Recording Medium… metal tape, 8 millimeters wide, approximately 0.002" thick; 1000' to a reel 7" in diameter. Nature of Recording… magnetic pulses 100 per inch in 5 parallel channels, 100 decimal digits per inch, a million per reel. Physical Size...less than 4 square feet floor space each. Function...prepares magnetic tape with printed check copy or produuces printed copy from magnetic tape. Directly connected to UNIVAC and can serve as additional input–output device without use of tape. Automatic Printing Speed...10 characters per second. keyboards...two, one numeric only, the other alphabetic. Physical form...incorporated in standard office desk. d. UNITYPER... for preparing tape with instructions or input data. Two models, one with 16 keys for numerals plus special characters, other with full keyboard similar to standard keyboard, incorporated in small typewriter desk. Function... automatic production of printed copy from tape. Control...magnetic tape, except margin and tabulation stops. Physical form...pedestal cabinet, 4 square feet floor space. Function... reproduction of tapes without changes. Reproduction on single long tape from several shorter tapes. Speed...10,000 decimal digits per second. Physical Form… cabinet occupies less than 6 square feet. The ECKERT-MAUCHLY COMPUTER CORPORATION, designers and builders of the UNIVAC SYSTEM, have incorporated into that equipment all of the knowledge and experience which their chief engineers gained through their technical direction of the ENIAC and initiation of the EDVAC projects. Their background and skill in the field of electronic digital computers is unequalled. The new and important additional developments which make the UNIVAC a practical and reliable commercial device are not merely paper designs or laboratory curiosities, they are tested devices already incorporated into the BINAC design. Although the BINAC is not a decimal computer, nevertheless, the same principles of electronic design and the same basic electronic circuits and components, including the mercury delay line memory and four - megacycle computing and control circuits, are used in its design and construction. The BINAC, although not intended as a general - purpose computer, is a practical commercial application of the same devices which are used in the UNIVAC. The UNIVAC is the only electronic computer which has been designed by an engineering staff who have successfully produced other computers employing the same electronic techniques. The UNIVAC is the only decimal electronic computer now under construction. Information on the BINAC, and additional data regarding the UNIVAC, will be sent to those who request it. Broad and Spring Garden Streets, Philadelphia 23, Pa..